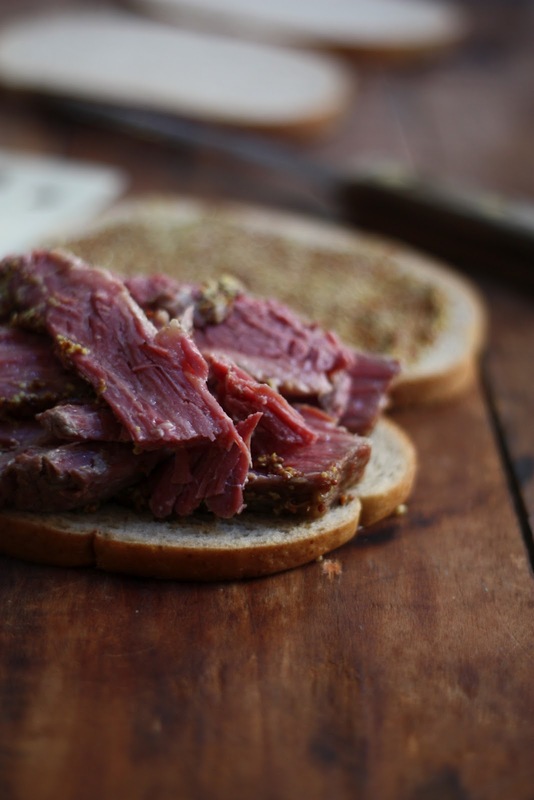 Before you know it March 17th (St. Patty's Day) will be upon us and I don't know why I wait until this time every year to make corned beef! This really should make the menu rotation at least 3 times a year. 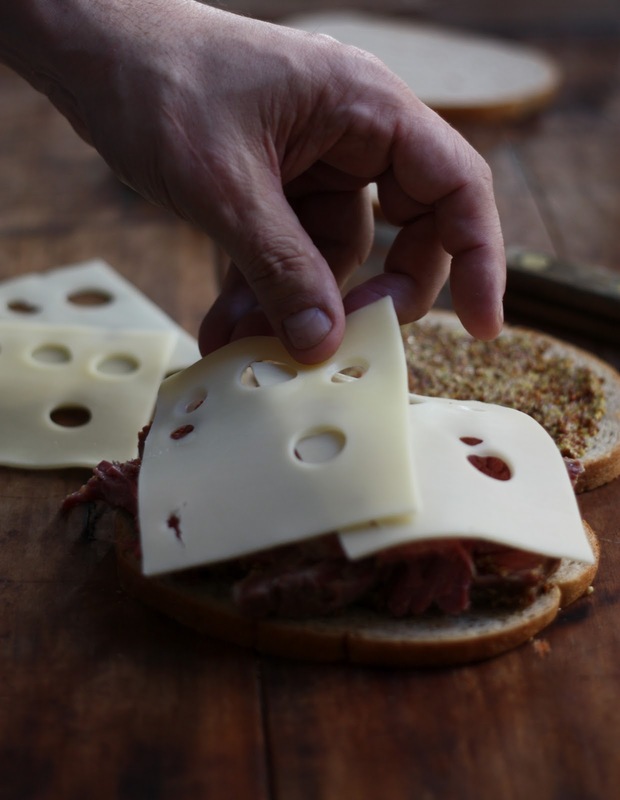 Hopefully this easy recipe will get you in the mood to run out and get yourself some corned beef and make these easy, yet classic sandwiches. Remove the corned beef, reserving the seasoning package. Rinse meat in the sink and pat dry. 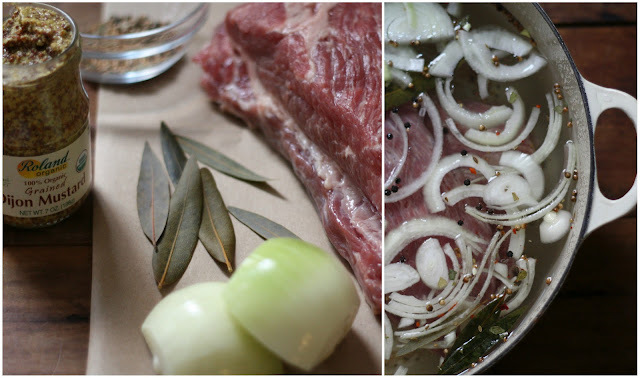 Slice up the onion and add beef, onion, seasoning pack, and bay leaves to a pot and cover with water. Bring to a boil then reduce to a simmer for about 3 hours. Remove the meat from the water and remove the layer of fat that is on one side of the beef. This is easily done by taking a knife and just scraping it to remove the fat. 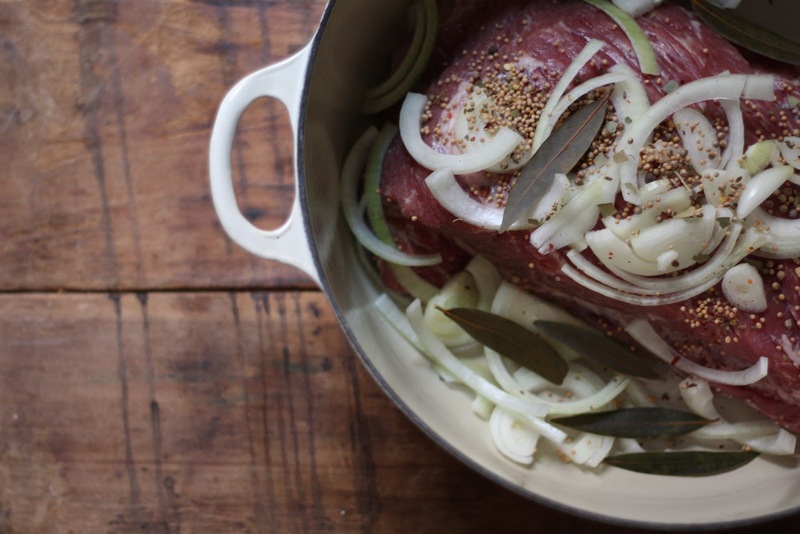 Cover that side of the beef with the stone ground mustard, put in a casserole dish and broil on low for 15 -20 minutes — watching the meat closely and turning half way through. While the meat is under the broiler prepare your sandwich with the fixings. 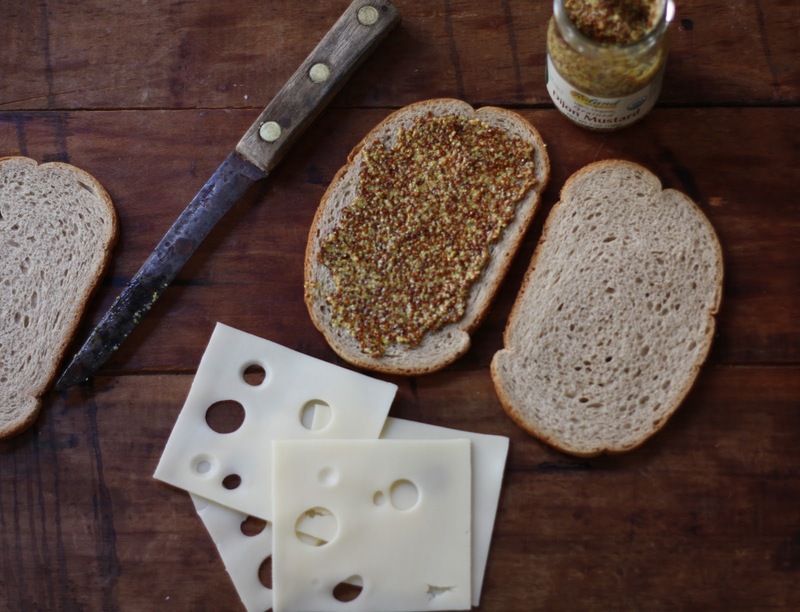 Remove the beef, slice it with the grain and pile it to your liking on your slices of rye, adding the Swiss cheese on top. Return to broiler enough to melt the cheese then serve with a side of Guinness! You should always sample the couple of pieces that fall off since this meat comes out so tender. The meat could be cooked over the weekend and then do not slice until the night St. Patty's Day for a traditional (American Tradition) meal. What are your traditions on this holiday? I hope it doesn't include adding green dye to your beer! I am making this corned beef for the second year in a row on St Pats! Thanks. Its fantastic! So glad to hear! I also made it on Saturday so easy and flavorful! Thanks for stopping by to let me know!